It was so cool to finally meet Scott. His parents and I go way back to our days of working together at St. John Bosco Wilderness Camp, and I remember the summer they fell in love. He shares his mother’s talent for music, his dad’s interest in aviation, and their mutual love of the outdoors, not to mention their hugely kind hearts and quick wit. 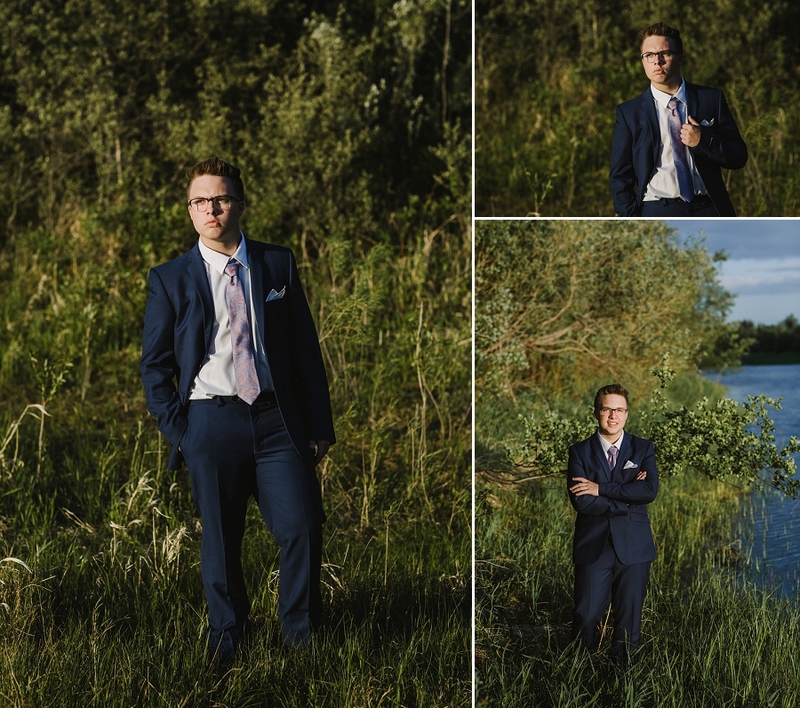 It was so fun to get to know him during his Saskatoon graduation pictures at Cranberry Flats. Scott’s got some serious career plans. First stop is becoming a conservation officer, and someday maybe moving into law enforcement. But then there’s plan B: lead a 1960s boy band revival and play the bass. Congratulations Scott – something tells me you’ll figure out a way to do both, and bring back the paisley tie while you’re at it! Saskatoon graduation pictures by Copperblue Photography and Design. 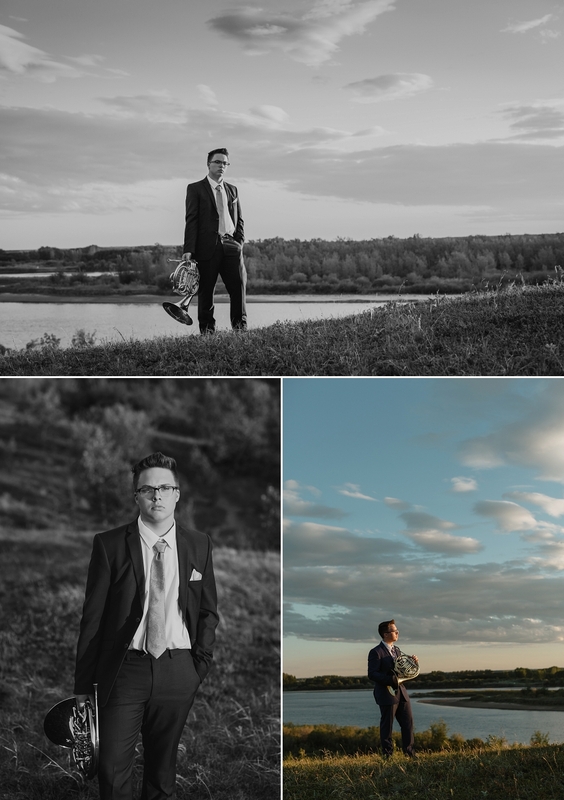 Saskatoon photographer for grads, engagements and weddings. Serving the Saskatoon, Prince Albert, Rosetown, Outlook and Humboldt areas. 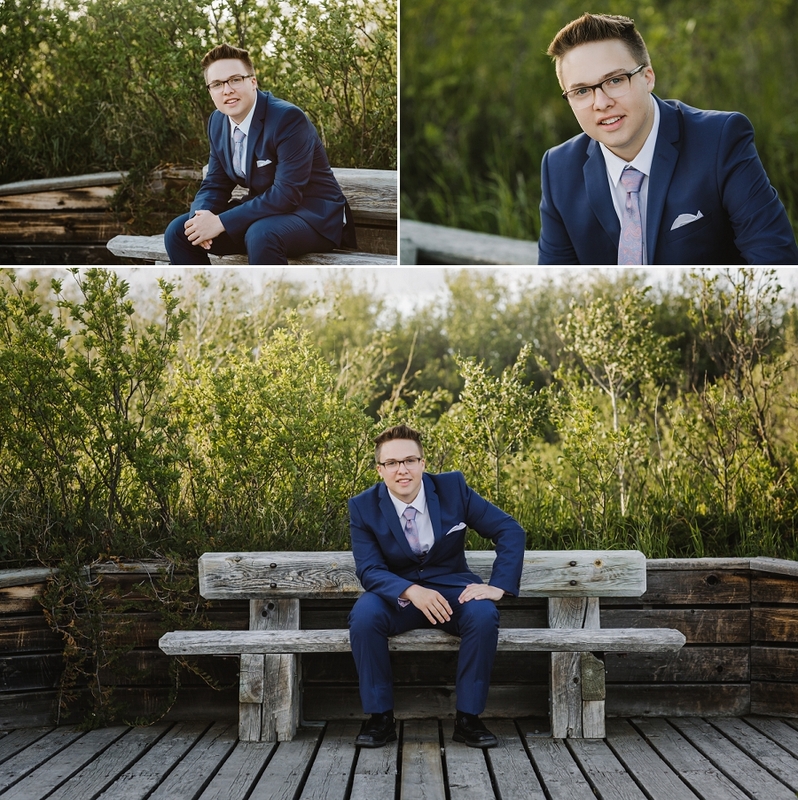 Looking for a photographer for Saskatoon graduation pictures? Click here for session information! Awesome job with Scott’s photo’s!! Hi Kelly! Thanks so much for dropping by and for your lovely comment! It was so much fun to meet Scott after all this time and to reconnect with his family! Love these so much! that last one should be on a large canvas :) I love the back story too. Thanks so much Diane! It was so great to reconnect with them. And I’d love to to make that happen! I love the french horn pictures, especially the last one! Thanks! 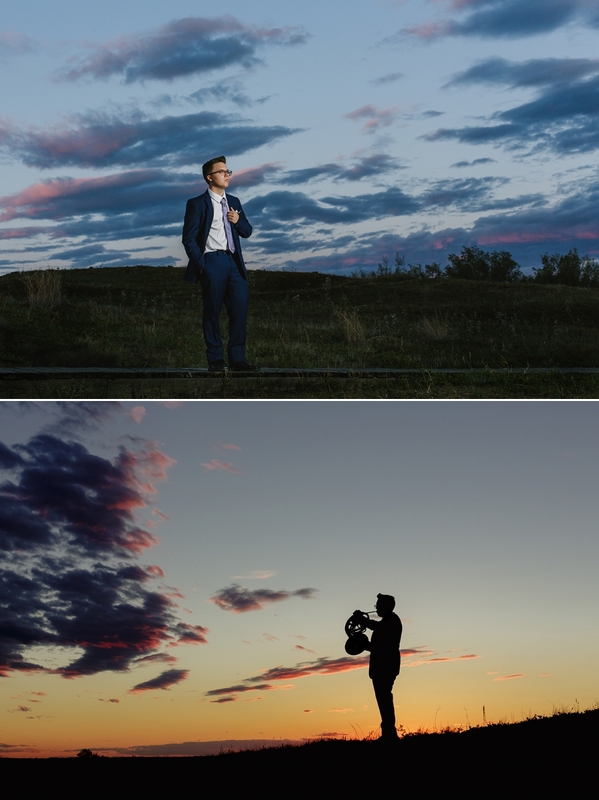 I loved that he brought his horn and it was fun to think of ways to shoot with it! 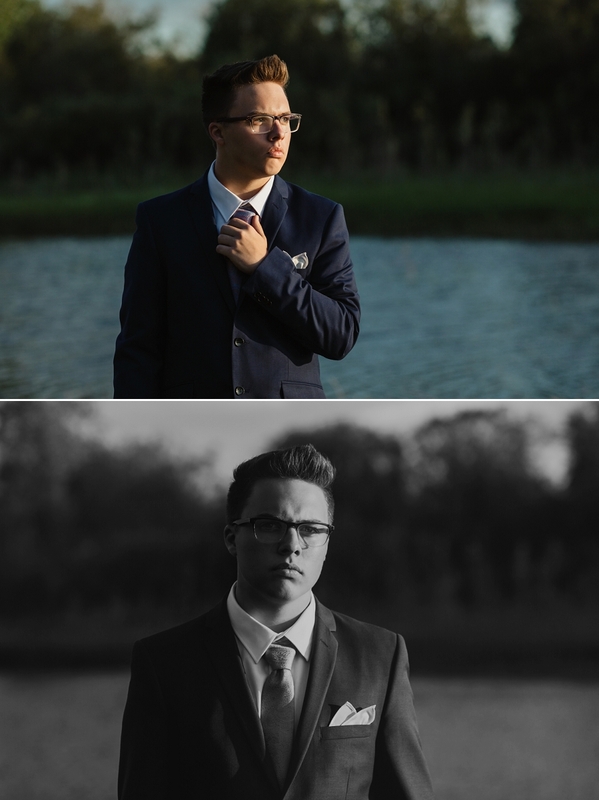 I love these, he could definitely be a model…he’s got the serious pose perfected! Right??! So fun to shoot with this guy! Thanks Rose! I don’t do full sun often but after this I’m definitely adding it to my repertoire more often! !